With access to clean energy emerging as a critical economic and environmental issue in India, the renewable energy Industry is expected to see a quantum leap. Considering India’s Intended Nationally Determined Contribution (INDC) agreed during the UNFCCC’s COP 21 in Paris, ensuring that the energy and lifestyle aspirations of the Indian people are met through clean and sustainable forms of energy has become an even more crucial goal. The last two years have brought remarkable developments in the realm of fighting climate change via the COP21 and 22 outcomes. They were particularly special because of the launch of a dedicated Sustainable Development Goal (SDG 7) on Clean and Affordable Energy. According to the INDC, India intends to reduce emission intensity per unit of GDP by 33 percent to 35 percent by 2030 compared to 2005 levels and aims to achieve about 40 percent cumulative electric power installed capacity from non-fossil fuel based energy resources in the same time frame. Furthermore, the launch of the International Solar Alliance (ISA), led by the Indian government and the Carbon Pricing Leadership Coalition, is a major step in the right direction. India’s clean energy sector is clearly in a transitional period — a state of aspiration and apprehension, elation and depression — a frenzied roller-coaster ride for planners, practitioners and policymakers alike. While we continue to debate the pros and cons of renewable energy, there is no doubt that the industry in India will see quantum leaps in the near future, simply because it makes enormous business sense to invest in an industry that has already started delivering much higher returns than the fossil fuel industry. The visibly vibrant future for renewable energy in India is already creating opportunities to upgrade infrastructure and institutional structures to ensure that this transition is long term and sustainable. India is the world’s fifth largest electricity provider, yet still has more than 300 million people lacking access to modern energy services. Access to clean energy has become a critical economic, environmental and sociopolitical issue. Hence, there is an urgent need for a paradigm shift towards decentralized renewable energy (DRE) solutions that are complementary to the grid rather than in competition with it. A shift in attitudes to energy access is happening in India, through a change in focus in terms of information delivery to policymakers, increased support for DRE practitioners, and more inspired stakeholders at both central and regional levels. The Indian government has placed unprecedented focus on making the private sector the torchbearers of sustainable energy, a heartening move. The massive corporate commitment by major Indian companies and financial institutions during RE (Renewable Energy) Invest 2015 testifies to this. 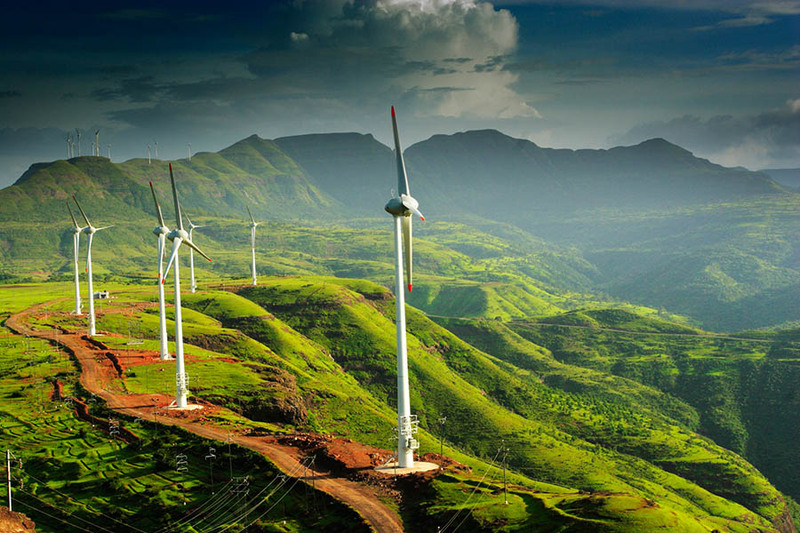 Consequently, India has set an ambitious target of producing 175 gigawatts of renewable energy. Additionally, the country has seen a spike in corporate investment in project development and the creation of renewable energy infrastructure. Large-scale renewable energy has attracted the spotlight in the last few years, but the DRE sector has also been getting its act together. India witnessed the creation of its first ever coalition of energy access practitioners, which is now known as the Clean Energy Access Network (CLEAN). It has proved a forward-thinking step to merge an otherwise fragmented sector under one umbrella. An economy slated to grow at a rate of 8 percent to 9 percent over the next two decades demands a significant increase in power generation capacity. The pursuit of energy access, energy security and climate change mitigation are therefore key demand drivers for adopting renewable energy. 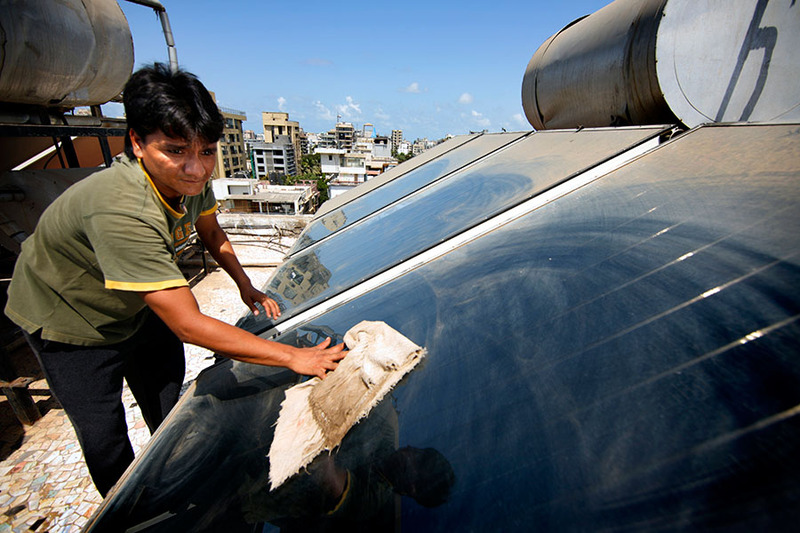 Three supply drivers promote clean energy adoption in India, namely: policy, finance and job creation. Over the past few decades, several policies and programs have sought to spur renewable energy sources such as wind, solar (including non-electric uses of solar and wind) and biogas. India was the first country to organize a dedicated ministry for renewable energy (Ministry of New and Renewable Energy); it funds a National Solar Mission, and it is developing a National Wind Energy Mission. Decentralized energy production has also received a big push in the last decade. The DRE access sector is a promising development for India. By 2020, small and medium enterprises in the energy access sector alone are likely to attract a market share worth US$400 million. Increasing consumer appetite, coupled with the emergence of a favorable investment environment in India, has created unprecedented opportunities for market development and upgrades, offering a viable, sustainable energy solution for one of the fastest-growing economies in the world. However, the DRE sector warrants a paradigm shift in financing: the launch of financial products that combine both capital infrastructure finance and consumer finance. Via planned financial support, policymakers estimate that 7.2 million under-served households will be able to afford a solar system by 2018. Debt financing has been identified as the most pressing need in the DRE sector. An unprecedented, innovative approach to financing can open the market, and in turn the DRE sector will open newer avenues. There are immense opportunities for financing decentralized renewable energy in India, and existing financial products can be tweaked to create new versions more suitable to market demand. You can’t expect the market to change its ways to facilitate financing designed for bigger infrastructure projects. By merging these ecosystem elements together, India has created opportunities to demonstrate its unique and extraordinary capacity to drive a new wave of equitable growth and economic opportunity. We must look at the speed, scale and skill of the energy access sector in India, because only bigger climate and energy efficiency goals lie ahead. Jarnail Singh is the interim India Director of The Climate Group. With a multitude of development experience including strategic roles in promotion of renewable energy, energy access, biodiversity conservation, corporate leadership platforms and organizational development, he leads the group’s India portfolio of programs and initiatives. Anisha Laming is India Communications Manager of The Climate Group. As a journalism post graduate, she has developed and executed key communications strategies for different projects on sustainability specifically on renewable and clean energy.